It seems like there are a million teeth-whitening products on the market. Okay, so maybe just a hundred or so… but still. It’s overwhelming. And at the end of the day we’re not even convinced we really need them. Okay, that’s not really true… we definitely need them (“need” obviously being a relative term!) but when budgets are tight, we get on an all-natural kick or we just want to take our teeth whitening to the whole next level, here are 6 easy ways to help whiten your teeth naturally from our favorite dental expert (and leading orthodontist), Dr. Jacquie. Get Pasty. Baking soda is a very powerful whitener and is excellent at removing stains. Sure, you can just look for a toothpaste with baking soda, but if you’re really looking to DIY it or want something more concentrated, make your own paste by mixing a tablespoon of baking soda with a few drops of hydrogen peroxide (for added chemical exfoliation) or a teaspoon of salt (for added manual exfoliation). Rub either of these mixtures on the teeth with your finger and rinse. Just remember that hydrogen peroxide and baking soda can damage the enamel or gums if overused, so only do this once in a while. Snack On Fruit. Fruits make good whitening products is because of their acids that oxidize the stains from your teeth. So snack up on the healthy treat between meals. Some good bets are strawberries, apples, pears and orange peels. Just by eating apples, pears and strawberries you can often see some immediate stain removal. Finally, you can rub the peel of an orange against your teeth for light whitening. Just beware of lemons. The acid of the lemon is just too strong and will potentially eat away at the enamel of the tooth. Sip With A Straw. Drinking out of a cup means everything in your glass is passing over your teeth. So, sip from a straw to avoid added stains and to maintain the brightness of recently whitened teeth. Chomp, Chomp. Snacking on something naturally chewy (like raisins or sugar free gum) encourages the production of saliva, which acts as a natural mouthwash, washing away stains and left behind food particles. Just make sure to floss every day to clean between the teeth! Get Electric. So, this may not be an all-natural or DIY tip, but another great way to keep teeth as bright and white as possible is to use an electric toothbrush since the rpm is designed to break up stains that manual toothbrushes can’t budge. 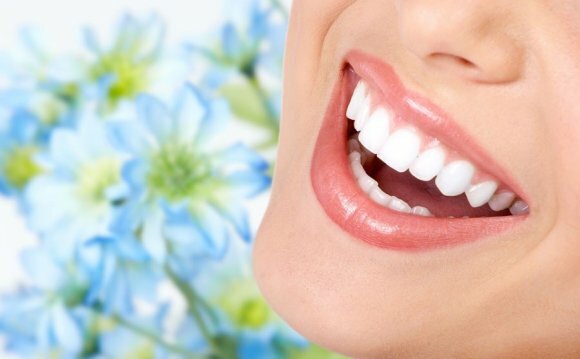 And, as always on of the best ways to keep your teeth as white as possible is by having regular teeth cleanings since dental hygienists are trained to remove stubborn dental stains, which not only leaves the teeth instantly whiter and the mouth healthier, but also makes the surface of the teeth more susceptible to the actual process of whitening. To make an appointment with Dr. Jacquie, click here!